Arnie Sisk watched as the latest additions to Congregation Beth Shalom, a Holocaust memorial sculpture and a surrounding plaza, were dedicated on Saturday. Sisk Plaza, as it’s called, memorialized Sisk’s late wife, Candi. Each year, CBS’s Men’s Club works to educate the community about the Holocaust. Last year, it was decided that a permanent installation would continue to remind people of what happened, said Hauss. 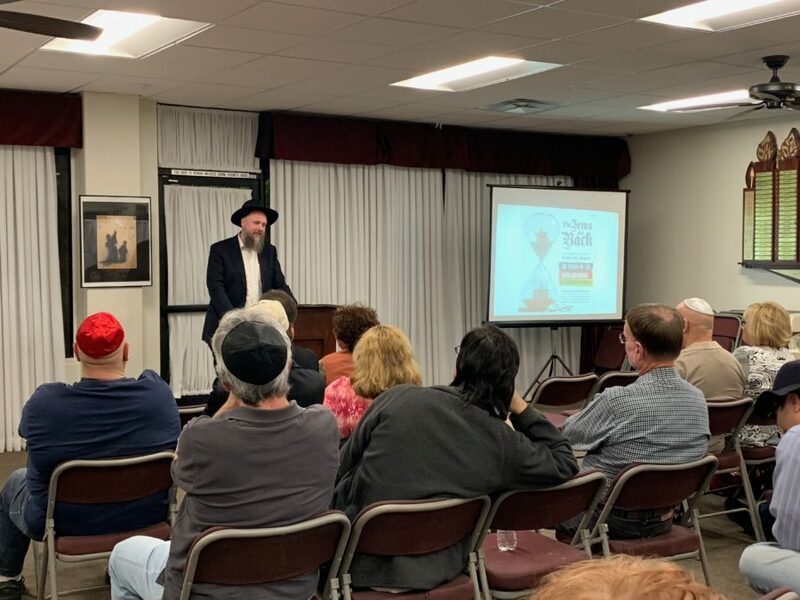 Within a short time period, CBS received so many donations to cover the installation that the remaining funds went into the synagogue’s Holocaust education program, Hauss said. When deciding on a date for a dedication, Hauss said International Holocaust Remembrance Day coincided well with Martin Luther King Jr.’s birthday. Abstract sculptor Granville Beals was commissioned to create a sculpture, which incorporated chains, railroad tracks and numerological references reflected in Judaism. Simon surrounded the base with plaques featuring quotes from Simon Wiesenthal, George Santayana, Yehuda Bauer and Elie Wiesel. To learn more about Sisk, read The Signal’s recent profile on him here. CBS is located at 21430 Centre Pointe Pkwy, Santa Clarita.